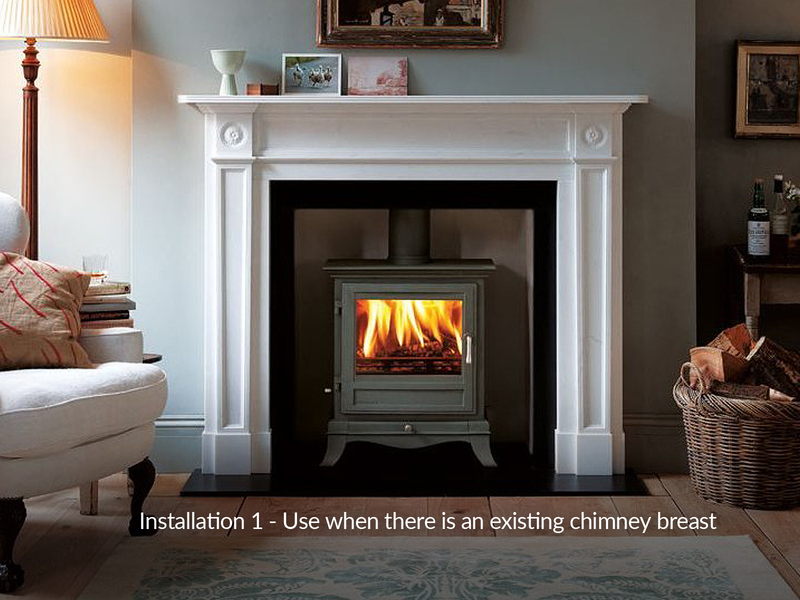 Use when there is no chimney present. 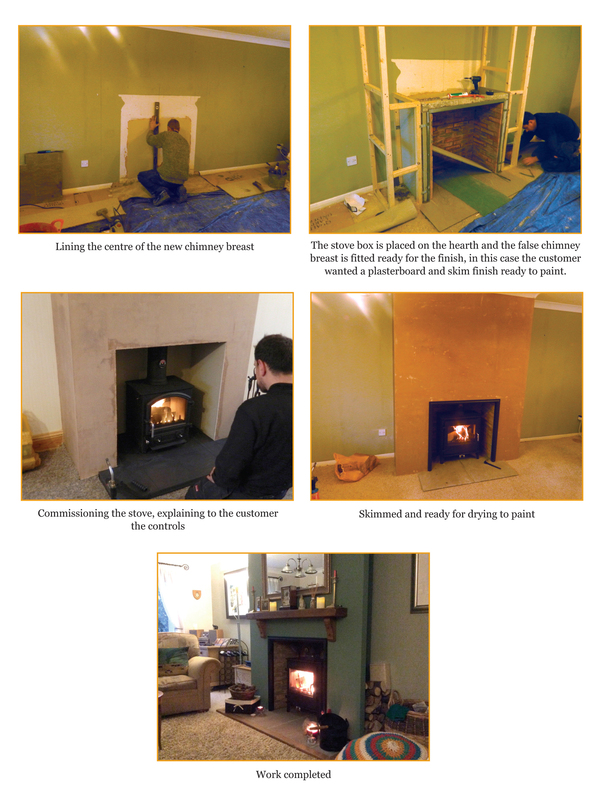 Build a false chimney breast and create an internal flue system. 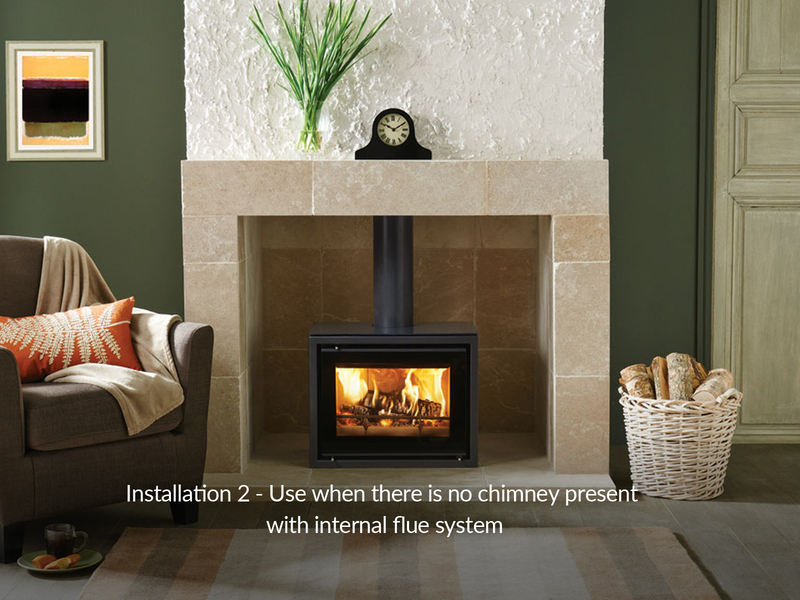 With many houses not having a chimney and a stove is required, there are various options in a room with no flue or in some cases a class 2 flue, which is not suitable for a multi, gas, or wood burning stove. 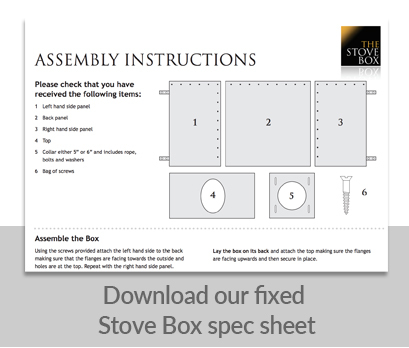 A non combustible hearth is placed on a suitable floor, the stovebox is then placed on the hearth and a false chimney breast is built around it. 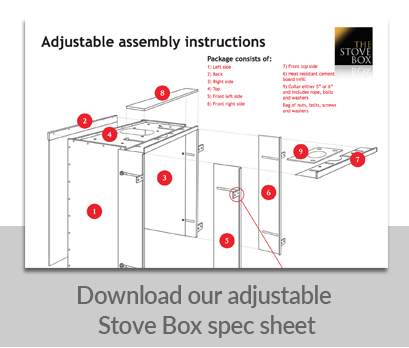 As this is being built, insulation is put around the box and the new flue starts from the top of the box with various adaptors to twinwall system through to the roof where it is connected to a cowl and lead flashing. 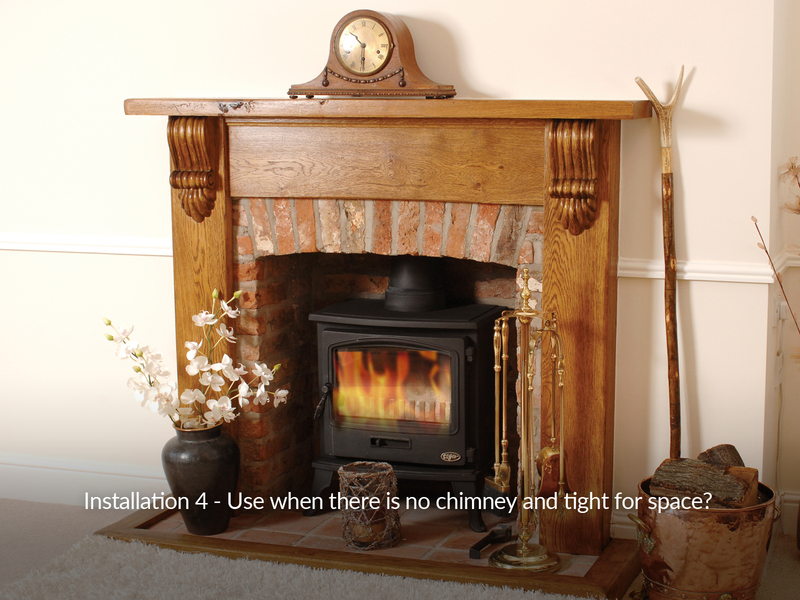 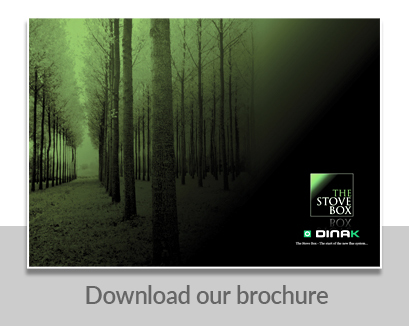 The chimney breast can be plastered, a brick feature, or any material suitable for the appliance to be installed. 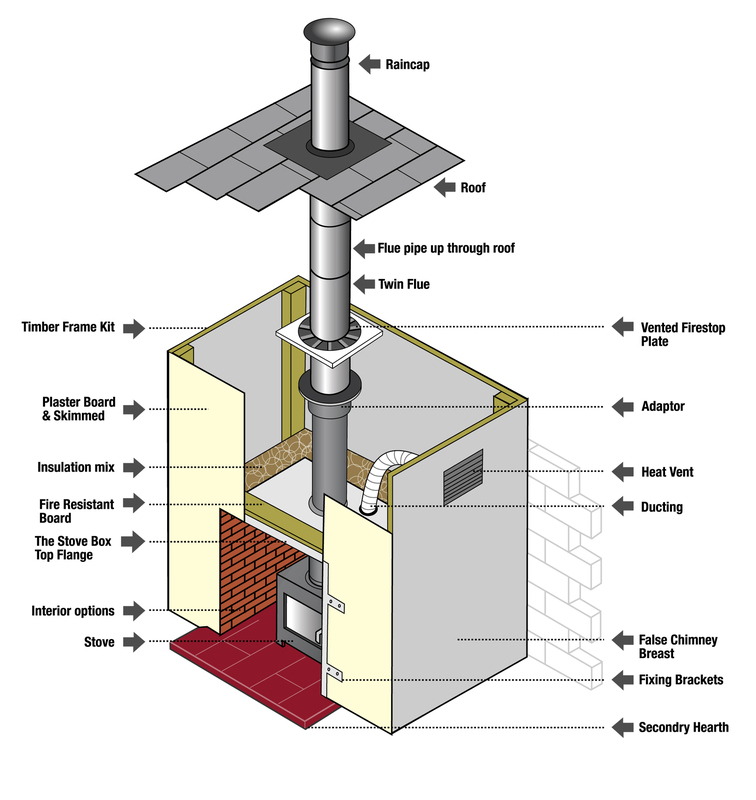 • All bends must not exceed 45 degrees. 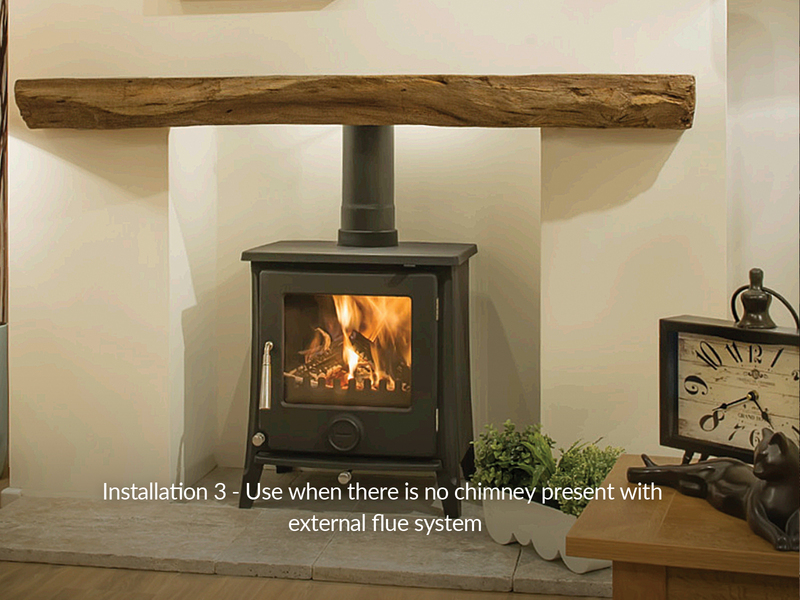 • When using a timber framed dwelling, specialist advice should be taken on all no chimney situations when installing a new flue system.